The game of basketball features three specific maneuvers -- running, jumping and cutting -- that will consume a player at any given moment during his/her stint on the court. Thus, the importance of a healthy foot should not be taken for granted and, quite simply, is very important for any caliber of basketball player. Steve Francis is sidelined with plantar fasciitis for four to six weeks. Each foot absorbs up to five times the body's weight while running and, obviously, even more than that while jumping. Occasionally, the soft tissue in the foot becomes inflamed and breaks down from overuse. One such condition is plantar fasciitis, which is a nuisance among a collection of NBA players every year. Let's look at the anatomy of the foot to understand a little more about plantar fasciitis. There are 27 bones in each foot, and the plantar fascia is a thick band of tissue that goes from the heel bone toward the toes. In some regards, this tissue is the body's first line of defense from the impact forces associated with being active. 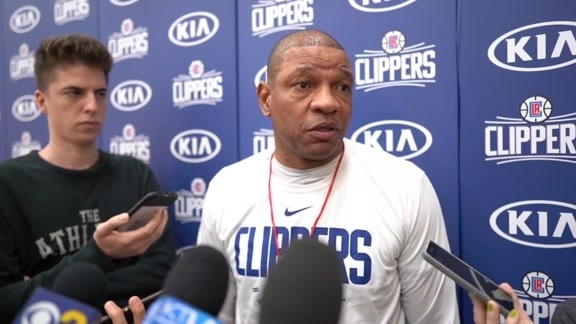 It is not uncommon for the athletic trainers in the NBA to see this early in the season when players are acclimating themselves to the demands of training camp or the early part of the schedule. The players will report a somewhat deep pain in the foot near the heel or in the middle of the foot. The less severe cases will be tender, particularly when they wake up and take that first step in the morning. Usually it can be controlled with rest, stretching, and therapy treatments. Team physicians will often prescribe an orthotic, a custom made arch support that will help correct a biomechanical deficiency and absorb some of the shock that is sent from the floor up to the foot. In most cases, these procedures are enough to keep a player on the floor until the condition resolves. However, this isn't always the case. Steve Francis of the Houston Rockets is one of the NBA's brightest young stars and a critical element of the Rockets' success. Steve had an irritation in the foot but, fortunately, was able to continue at his high level of play. "Steve had a pain in his heel in one of our early games this season" said Keith Jones, Rockets' Athletic Trainer. "We had him rest for a while and that helped. Then, in a game, he felt a pop in his foot while making the transition from offense to defense. Our physicians examined him and determined that he had damaged the plantar fascia. Steve had an MRI and bone scan to complete the diagnosis. It was determined that we should rest him completely to allow as much healing as possible." Steve was placed into an immobilizing walking boot and will miss between four and six weeks. On many occasions, we will try to alleviate the problem without having a complete shut down, but there are times when such a plan is the best course of action. This is particularly true with an injury to the foot. A strain to the plantar fascia is generally not as severe as what Steve Francis sustained, but if ignored, can become a nasty problem. Tom Abdenour in his 16th season as the athletic trainer for the Warriors. He spent his 2000 offseason serving as the athletic trainer for the gold medal-winning USA Men's Basketball Team at the Summer Olympics in Sydney, Australia. He also stays involved with the community as a member of the NBA's National All-Star Reading Team -- part of the Read to Achieve program. 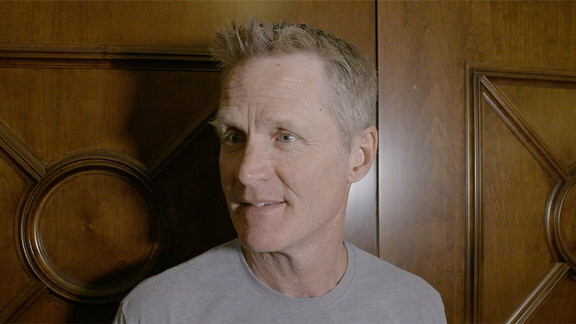 Abdenour is hosting warriors.com's Athletic Trainer Talk section and will be answering fan questions about health, injuries and rehabilitation through the 2002-03 season. 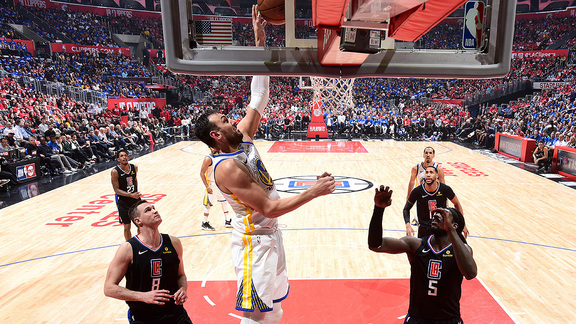 Podcast: A Closer Look at the Dubs’ Game 3 Win in L.A.